We Are EG : S1E3: "Scare Me, But Just a Little Bit"
S1E3: "Scare Me, But Just a Little Bit"
John Bottiglieri in his famous gorilla costume. We can call John Bottiglieri "Mr. Halloween." On this special Halloween episode of We Are EG, we sit down with John Bottilieri, who retired last year after teaching at Elk Grove High School for 33 years, to discuss whether or not Elk Grove High School is haunted, how to discover the most popular Halloween candy and other ghoulish delights. 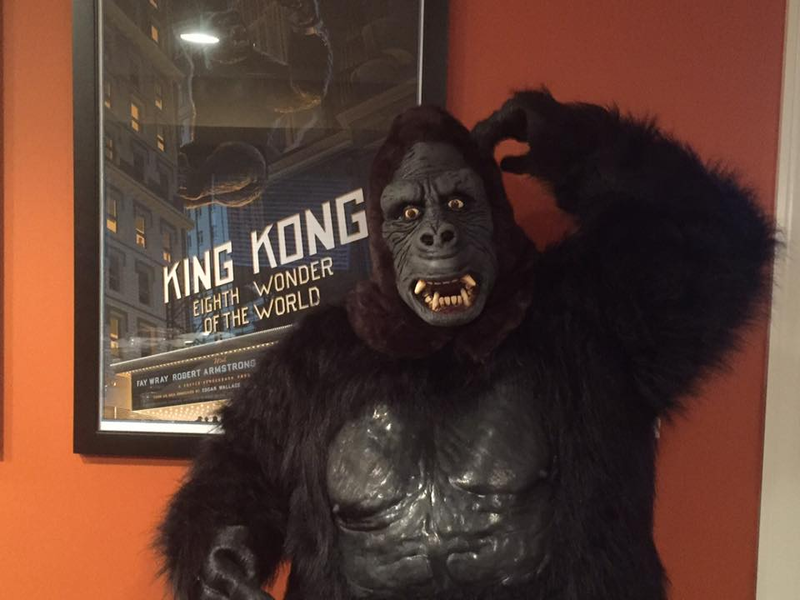 We even talk a little about how John came to own a gorilla costume. Every year, John creates a special Halloween mix of music. Listen to this year's mix, entitled "Color Me Pumpkin Orange," below. John also writes for F This Movie and regularly appears on their weekly podcast. The We Are EG Podcast is a production of the EG CollabLab. This episode was produced by Bruce Janu.